Even though Samsung pre-empted the next generation of new phones when it launched the Galaxy S10 just days before it officially kicked off, this year’s Mobile World Congress still felt special compared to previous shows. There was a frantic energy in the run-up to the show propelled by rumours of groundbreaking new tech and, once it was over, it felt like we had entered into a new era, both for devices and wireless communication. And even for the world’s biggest trade show for everything mobile, a lot happened in just a week. So here’s a quick summary of the five most important takeaways from MWC 2019. Just a sample of all the folding gadgets to come. When Royole broke ground with the first foldable phone in late 2018, the FlexPai showed that while bendable devices were possible, they still needed a lot of work. But at MWC, the flexible gadget floodgates opened with devices like the Samsung Galaxy Fold and Huawei Mate X leading the way, with both boasting components and designs that seemed several generations ahead of anything anyone had ever seen before. But what’s even more notable about this is that it wasn’t just the two electronics juggernauts that brought bendy devices to MWC. Nubia, known for all sorts of wild concepts including dual-screen phones and the first phone to feature RGB lighting, showed off a more refined take on its Alpha smartphone-watch hybrid. 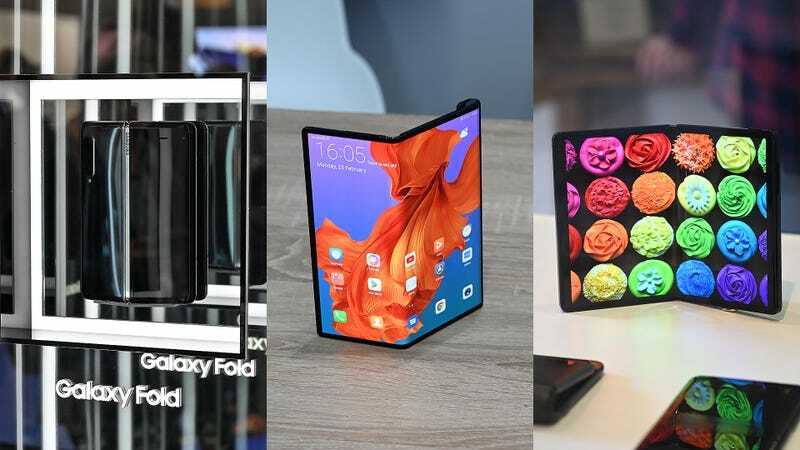 And while TCL isn’t planning on releasing a foldable device until sometime in 2020, the company still brought a handful of flexible concept devices to show off in Barcelona. Flexible screens have the potential to change how so many gadgets are created, and while MWC 2019 may have been their big debut, it’s important to note that this is just the beginning. With the Galaxy Fold priced just short of $2,000 (UK price TBC) and the Mate X going for even more at around $2,600 (UK price TBC), the first wave of bendable devices are anything but affordable. Additionally, there are also a lot of potential concerns about bendy phone design, especially when it comes to durability. And with a number of bendable phones appearing quite thick, that’s yet another hurdle early adopters will have to come to grips with. The number of cameras on smartphones has been trending up for a while now, but with the Nokia 9 PureView, it feels like we’ve entered a whole new dimension. 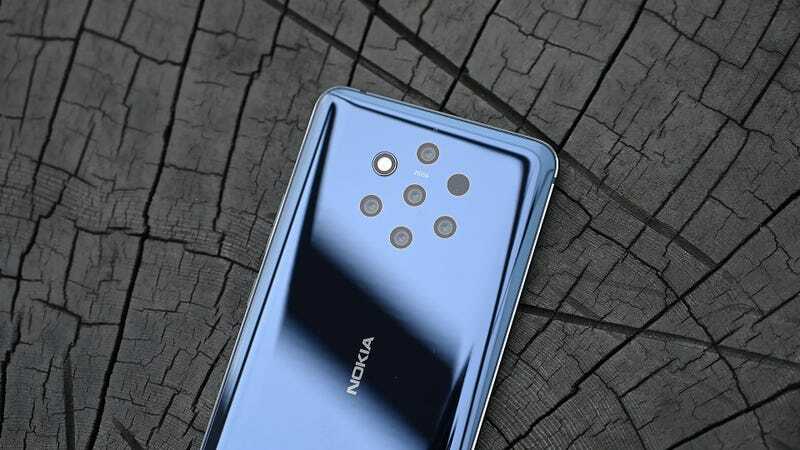 On the 9, Nokia equipped its latest flagship with five total sensors – two RGB, and three monochrome – and then enlisted the help of Light and Qualcomm in order to make all those cameras work together. And the result? A phone that promises to capture more detail and over a thousand levels of depth sensitivity with one touch of the shutter. That’s something even a lot of pro photographers could probably get on board with, but we won’t know for sure until we can test the Nokia 9 out for real. Meanwhile, Chinese smartphone company Oppo demonstrated a prototype phone featuring a 10x zoom that uses what is essentially a periscope to break past the typical 2x optical zoom limits that even the best flagship handsets struggle to overcome. Additionally, about a month before MWC, Samsung acquired CorePhotonics, the company responsible for the tech behind Oppo’s demo, which means that the same 10x zoom could make its way to Samsung’s next big phone. And with Huawei already teasing that it will “rewrite the rules of photography” in advance of the P30 launch scheduled at the end of March, it seems like Huawei is on track to bring big zooms to smartphone cameras quite soon. When Microsoft first announced the original HoloLens back in 2015, people didn’t quite know what to make of it. It was different than VR and much more than just simple augmented reality. Over the years, Microsoft’s mixed reality platform has grown into a tool that changes how businesses teach, train and empower their workers. And with the arrival of a second-gen headset, the HoloLens 2 has gained improved comfort and ergonomics, double the field of view and precision hand and eye tracking that allows you to interact with holograms as if they were real. Microsoft has even created new software suites to help businesses get the HoloLens 2 up and running even faster, while also giving enterprises the tools to customise the headset’s design to fit their needs. 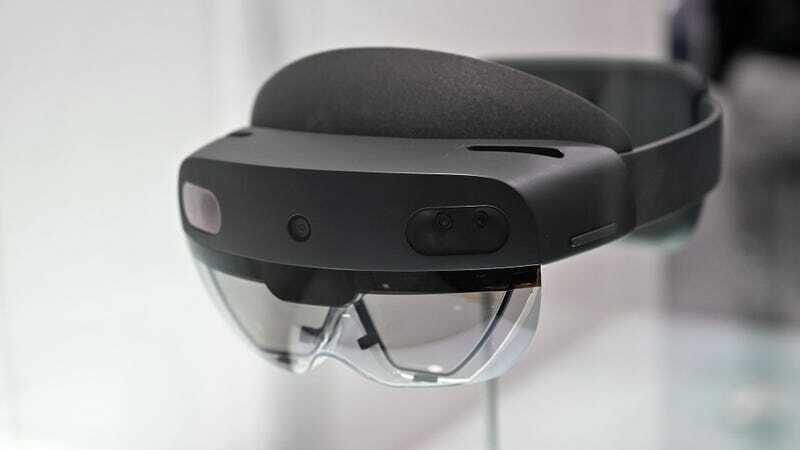 But the sad thing is that for all the normal folk out there, with a price tag of $3,500 (£2,650) or $125 a month (£95), the HoloLens 2 is still just as out of reach as its predecessor. There’s no doubt the HoloLens 2 is amazing tech, but we’re still years away from it being something people can realistically have in their homes. 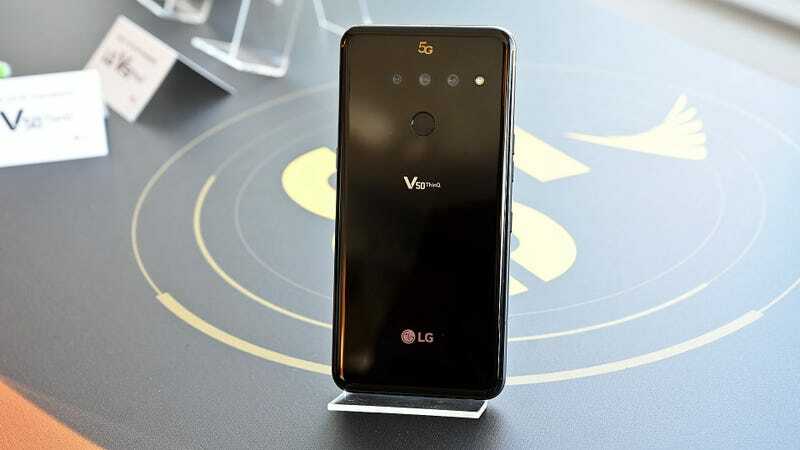 LG even put a 5G logo on the back of the LG V50 5G that will light up when connected to a 5G network. Despite all the hype about how 5G is going to change mobile communication as we know it, much of that discussion has been largely academic up until now. That’s because aside from a handful of 5G hotspots for use in limited areas, before last week, there weren’t any actual 5G-ready phones on the market. But with the announcement of the Galaxy S10 5G, LG V50 5G, and Huawei Mate X (yes, Huawei’s bendy phone is also 5G-ready), and several 5G prototypes from the likes of OnePlus, Oppo, ZTE and others, there’s finally some actual 5G hardware to talk about. However, with none of those devices expected to become available before sometime this spring at the earliest, it seems we’re still in for a little wait until we can test out true 5G devices for real. 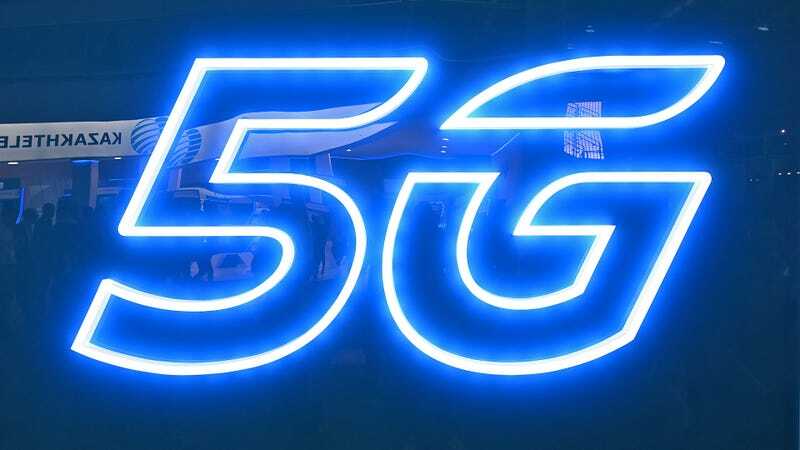 For a trade show that had 5G plastered on practically every other sign, branded onto a bunch of handsets and several keynote presentations spent talking about its potential impact, there wasn’t a lot of concrete info or updates on when 5G networks would be available. And out of the four big U.S. carriers, the biggest revelation about upcoming 5G service came from Sprint, who projected that the first four cities featuring Sprint’s 5G network would “most likely” go live in May. Meanwhile, Verizon, AT&T, and T-Mobile were largely silent on when their networks would come online, with most simply stalling for now and asking users to check back in sometime in the second half of 2019. But as OnePlus founder Pete Lau pointed out during a panel co-hosted by Qualcomm, the 5G revolution is one that will take places over three phases, with the first being an improvement of data speeds over the next three to five years. Only once the 5G networks are up and running can we begin to build out full ecosystems of 5G devices and AI-powered software in phase 2, before finally making everything interconnected in phase 3 of the 5G era. So, yes, 5G is coming, but for anyone expecting a transformation overnight maybe think again. We’re just barely getting started.